We are here full servie pet grooming salon, here to care for your pet. Our shop also offers a selection of pet clothes, accessories, toys, treats and more. 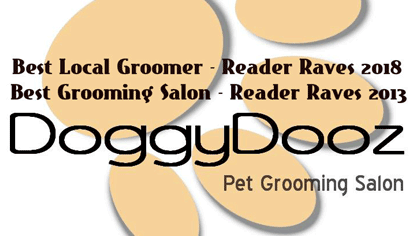 We were rated Best Local Groomer in 2018 by Reader Raves. Call us today for your next grooming appontment.